Economics and politics make for strange bedfellows. Economics functions on the interplay of supply, demand and patterns of production, distribution and consumption of good and services. Politics exists on the interplay of political philosophies, power and public policy. Both disciplines run into the problem of dealing with the complexities of unpredictable and irrational human behaviour and malleable emotion. 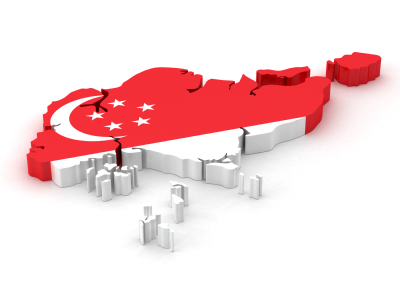 So in light of developments in Hong Kong and the recent trends in Singapore since GE 2011, what evaluation can someone make of Singapores political marketplace? Who are the major actors? What is their future? What will happen in the run-up to GE 2016, and where does the PAP stand? The currency of the political marketplace is ideas, with credibility and trust being part of the marketing and brand. Competitors in a marketplace don’t survive or retain their competitive edge by alienating consumers or existing customers, or by compromising their brand strength (i.e. credibility). The current marketplace is a practical monopoly, with the monopolist being the PAP. It’s entrenched itself, extending its influence throughout the political machinery and public consciousness, while making efforts to dominate the public discourse and sociopolitical narrative via its control of traditional media conglomerates (i.e. Medicare & SPH). As a monopolist, it maximises the benefits for itself, decides the price of its service, establishes high barriers for other service providers (i.e. opposition parties) entering the marketplace and dominates as the single seller producing most, if not all, political output. However, a lack of marketplace competitors is never conducive to the benefit of consumers (i.e. the general public). For some time, the PAP has actively disparaged and alienated part of their customer base, while favouring others. An example is the terming of broad swathes of the online community as a ‘lunatic fringe”. While mostly undeserved, it’s not without justification on the part of the PAP. The average Singaporean netizen tends to make emotional arguments and often lacks insights into the larger picture of how Singapore functions. However, the PAP service not only fails to serve the needs of the alienated half, but also actively harms their freedom to voice out their displeasure as stakeholders in the public policies being implemented. Many customers become disgruntled. But they’ve got no choice, because the PAP is a government-supported monopoly with no perceived alternatives that are as credible as what most consumers believe the PAP to be. However, ventures like the Workers’ Party and the SDP (i.e. the opposition) are now competing and attempting to offer a credible service. The product is possibly fairer than the old PAP product but currently not validated by the market. While it doesn’t benefit non-alienated customers as much as the old PAP ‘product’ does, it may benefit the alienated segment of the customer base seeking an alternative service provider to the PAP. These ventures have been around for some time. However, due to the arrogance and monopolistic abuses of the PAP, along with new media channels, their ‘product’ stands to gain traction. They’re not as well-funded or established as the PAP, with a marketing budget a fraction of the PAPs. But word is spreading online, with some customers starting to abandon PAP as a service provider and buying the opposition’s service. Now, the oppositions’ customer base and employees are slowly starting to grow. Arrogance resulting from their monopoly, disdain for alternative views from online media, and a government machinery that has been assimilated to serve party interests (i.e. the People’s Association) involves using public money for political means. It also alienates more sophisticated consumers (i.e. the voters) who disapprove of such conduct. It basically amounts to appropriating public money and resources to serve PAP needs – an act of questionable ethics. GE 2011 was a market shock for the PAP. Political marketplaces will evolve towards oligopolies, like economic marketplaces and political marketplaces in the EU. The market share of the political marketplace will be distributed amongst different entrenched players, whether a coalition or single mega-party. The PAP, like Microsoft in the early days of the PC software market, dominates the political marketplace. They have the resources, marketing expertise, strong brand strength, excellent mindshare and an established customer base, primarily amongst older customers and new users of their service (i.e. new citizens). However, it could lose its monopoly within a generation. Looking at the state of the software market today, Google and Apple have displaced Microsoft, forming an oligopoly with numerous regional and mid-tier competitors and service providers (e.g. IBM) existing in a complex ecosystem. The PAP may fragment. It may lose people who form their own parties. But it will lose its dominance and become one of many organisations in a larger, complex ecosystem with various interest groups and civic society organisations. It’s only a matter of when. GE 2016 will come. And the most likely outcome? The PAP will retain overall market share and dominance, with the loss of a GRC or more. They’ve very unlikely to lose. But their popular vote share will decrease. If the PAP are in fact displaced in what they term a ‘freak election’ — which isn’t freaky at all — it will be surprising. And it will be a mess.